Producing and controlling consistent products in manufacturing is essential for an organisation. Having a quality standard system in place makes it easy for manufacturers and other relevant parties to follow Good Manufacturing Practices (GMPs). A Good Manufacturing Practice is designed to minimise any food or pharmaceutical production related risks that cannot be eliminated once the final product is produced and tested. 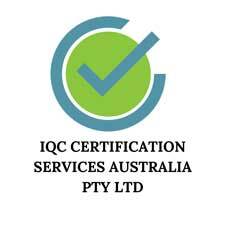 Based in Melbourne, we are experienced in delivering GMP certification training to businesses to ensure their food safety procedures are compliant with relevant legislation. A regulated Good Manufacturing Practice as accredited by a certified body allows manufacturers and food and pharmaceutical handlers to record issues, address personnel qualifications, monitor sanitation, cleanliness and equipment verification standards, validate processes and log complaints. Whether your business is located in Melbourne or Darwin, Sydney or Adelaide, it is our duty to offer businesses accessible GMP certification training to not only remain compliant and stay in business, but to avoid severe health risks to the public, including customers and clients. Such common risks include an unexpected product contamination, incorrectly labelled contents on containers and packaging, incorrectly packaged contents such as incorrect volumes of active ingredients, and more. The side effects can be extreme, leading to preventable treatment and irreversible outcomes, including death. Each manufacturer has the power to dictate which requirements apply to their specific industry and area of business and interpret the practices as necessary. All Good Manufacturing Practices and Good Hygiene Practices are necessary to ensure the safety and suitability of food at all stages of the food chain. For business owners in Sydney, Brisbane, Melbourne, Perth, Adelaide, Canberra, Darwin, Hobart and beyond, contact us today to get your business ready for GMP certification training.